One hundred years ago on Sunday 14 January 1917 the annual general meeting of the Gaelic League in Cork was held in the “Grianan”, 3 Queen Street, now Fr Mathew Street. Mr Tadhg Ó Tuama, a member of the Executive, presided. The Gaelic League offers another lens into exploring social life in Cork a century ago. In July 1893, Douglas Hyde was joint founder, with Eoin MacNeill, of the Gaelic League, which in Irish is Conradh na Gaeilge. Hyde was President of the organisation until he resigned in 1915. The purpose of the Gaelic League was to keep the Irish language alive and to preserve the Gaelic elements of Ireland’s culture. Although the Gaelic League was non-political, increasingly it became identified with these political goals, due to its membership. The Gaelic League grew dramatically in the early years of the twentieth century. Many Sinn Féin activists joined it with over 550 branches nationwide. Of the 16 leaders executed post the 1916 Rising, the majority were Gaelic League members and Irish speakers. The Honorary Secretary Liam De Róiste. of the Executive read the annual report on 14 January 1917. Fifteen boxes of the Liam De Róiste Papers survive in the City and County Archive. An Irish language speaker and enthusiast, he was founder member in 1899, and in turn Secretary and Chairman, of the Cork branch of Conradh na Gaeilge (Gaelic League). He was a founder member of Coláiste na Mumhan in Ballingeary and founder member of the Cork Celtic Literary Society alongside figures such as Terence MacSwiney and Tomás MacCurtain, Seán O’Hegarty and Daniel Corkery. He was secretary of the Cork Industrial Development Association. He was Chairman/Vice Chairman of the Cork branch of Sinn Féin and chaired its first meeting, attended by Eoin MacNeill and Douglas Hyde, in 1906. De Róiste was a prominent early member of the Irish Volunteers movement, taking part in the 1916 Rising. He marched to Macroom on Easter Sunday 1916 and later helping to smuggle arms for the old IRA. At the January 1917 meeting, Mr De Róiste detailed that the Gaelic League was re-organising nationally and there was a revival in Cork level following a difficult year of surviving scrutiny of its activities from Westminster. He noted that “the sympathy of the people was with the language movement” and this was shown by the substantial sums received during Irish Week and the flag day held in November 1916. There were four active city branches with a base at 3 Great George Street or now Oliver Plunkett Street. Branches as well existed in the principal towns and village in County Cork. Children’s classes for Irish had been established in the city and there were about 60 children in constant attendance with the average age was seven or eight years. The League was short teachers and suitable accommodation. He deemed the “teaching of the children. was real, solid, fruitful work, the results of which were visible before their eyes”. During 1916, the Cork Branch had also established, a scholarship scheme, the object of which was to encourage the speaking of Irish among school children in city schools. Three young people-were sent for a month’s course to the Munster Training College, Ballingeary (est.1904), one from St Vincent’s Convent Schools, one from St. Marie’s of the Isle, and one from the North Monastery. They aspired to send at least ten school pupils every year to Irish-speaking districts. Traditional singing class at the Cork School of Music under Fr Seamus (Christy) Ó Floinn. 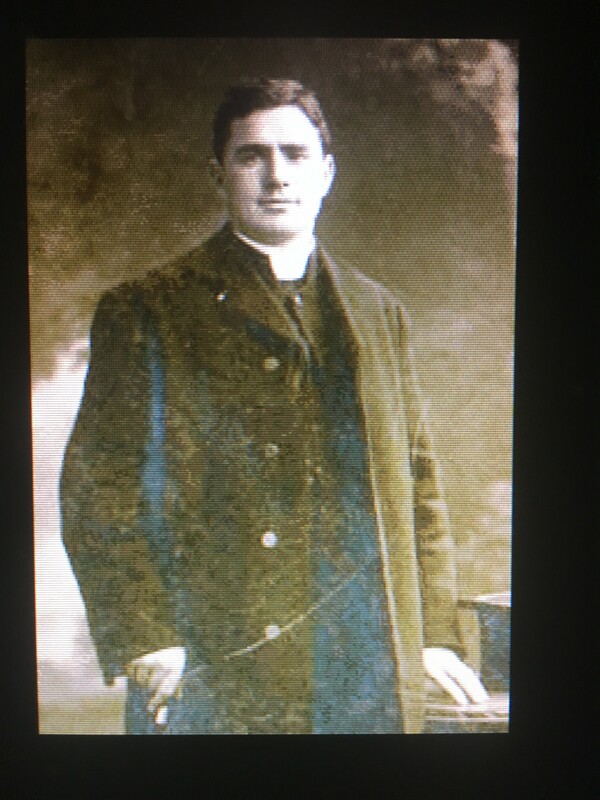 Ordained in 1909, Fr O’Flynn (1881-1962) had served as a priest at St Finbarr’s Seminary, Farranferris (1909 – 1913 and again in 1917) and was Chaplain to the Cork Lunatic Asylum. At thirty years of age in 1917, Fr O’Flynn was a strong voice of the Gaelic League in Cork appearing to give speeches across the City and County encouraging enrolment before 1917 and beyond. Before World War I he discovered his love of Irish in Balllingeary and was connected with the Gaelic League for many years. He worked with Fr Peadar Ó Laoghaire in the pioneering days of the language revival while he was still a student at the seminary at Maynooth. He had prevailed upon Fr Ó Laoghaire to write his famous small prayer book in Irish, which became one of the main textbooks for Irish learners in those days. Fr O’Flynn’s personal contributions to local concerts and such functions always ensured their success. In various obituaries in 1962, Fr O’Flynn was detailed as a natural musician; he was one of the first to encourage Gregorian chant. Through his personal influence Irish composer and arranger of traditional music Dr Karl Hardebeck was brought to Cork in 1919 and made headmaster of the Cork School of Music as well as Professor of Irish music in UCC in 1922 (returning to Belfast after the Irish Civil War). Fr O’Flynn himself also gave regular assistance at UCC as a teacher at the Irish summer schools in the early days of the Gaelic revival. In a few short years (1924), he would establish a school of drama in a loft above Linehan’s Sweet Factory in the Shandon area of Cork City. He would also work with pupils with speech and language impairments. 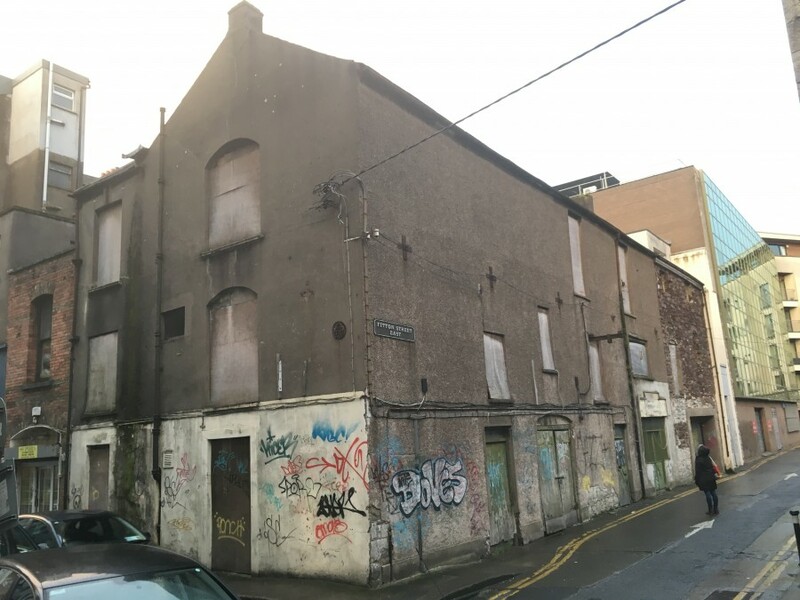 If anyone has information on the former cultural centre An Grianán on Fr Mathew Street and its fate, give me a call, 087655389, thanks.